HALF MOON BAY, Calif. (KGO) -- Paddle boarders off the coast of Half Moon Bay got quite the sight over the weekend. 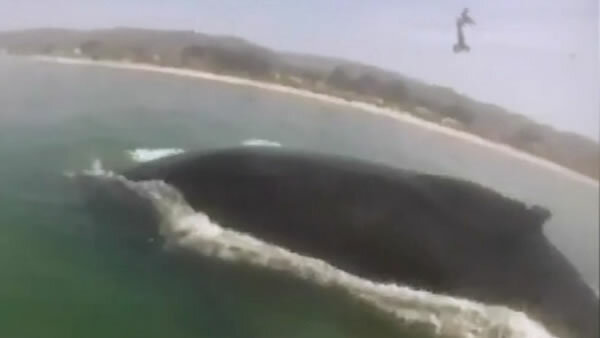 A humpback whale came out of the water right next to a group of women before diving back down. Viviana Guzman says she has never seen whales come out quite so close to Miramar Beach.